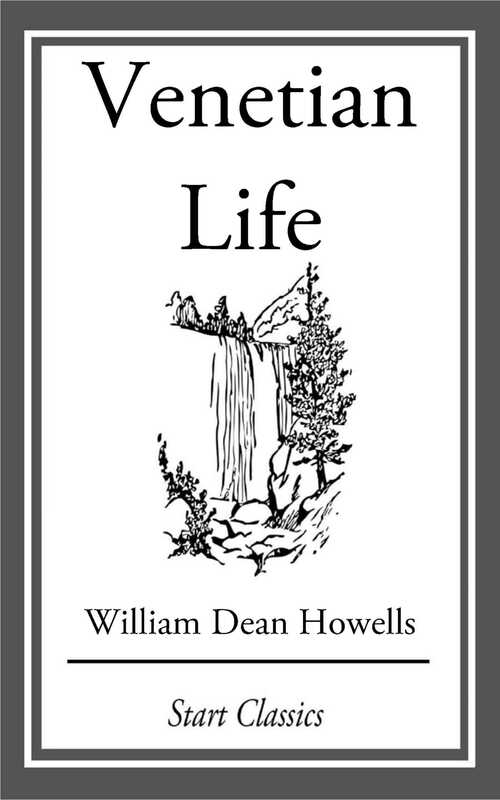 In 1860, W. D. Howells wrote a campaign biography of Abraham Lincoln. When Lincoln won the presidency, Howells was rewarded with the job of consul in Venice.He arrived there in 1862, aged twenty-five, and lived for three years on the Grand Canal. Howells would use the canal for a morning swim during the warmer months and then, perhaps, go off to his office. For a young nineteenth-century American who had left school at age nine in order to work, the hardest part of his sinecure was that -- no doubt for the first time in his experience -- he had almost nothing to do. "I dreaded the easily formed habit of receiving a salary for no service performed", he wrote. "I reminded myself that, soon or late, I must go back to the old fashion of earning money, and that it had better be sooner than later". And so -- "though for some strange reasons it was the saddest and strangest thing in the world to do" -- Howells left Venice. While he was on the whole happy to do so, Howells said upon his departure",Never had the city seemed so dream-like and unreal as in this light of farewell". Venetian Life flows from the enchantment, the magical improbability of the years Howells spent in that magnificent city dining with the rich, mingling with the humble, and reporting on it all with a uniquely American wit and curiosity.